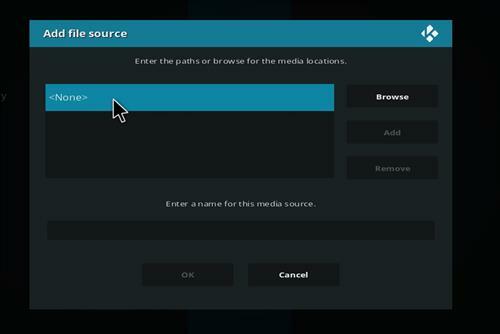 The BK Nox kodi build is a really good build for Kodi. I have used from time to time and I certainly like how light the build runs. 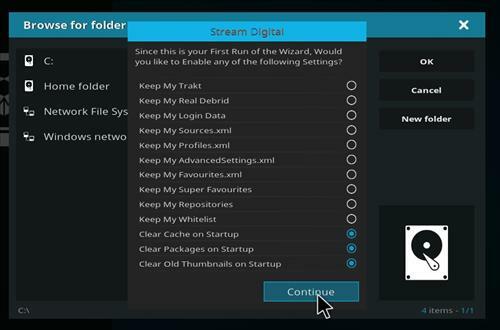 Its one of the fastest running builds and its from Stream Digital Wizard. They do great stuff so we can expect to have a great build here. 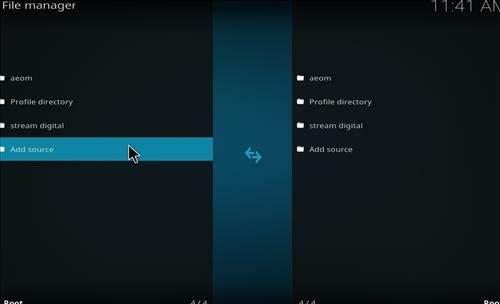 Like most of the Kodi builds out there today, the BK Nox build has practically all the same menu navigation selections. 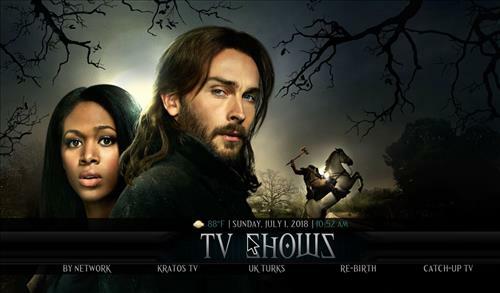 Like Movies, Tv Shows, 4K Movies, Live Tv, Music and so much more. 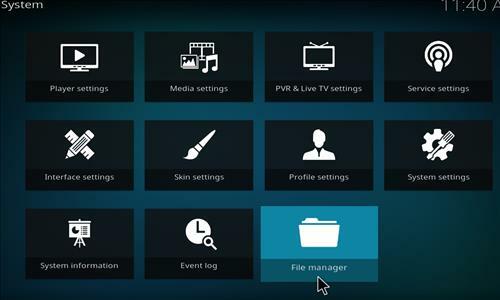 When it comes to the pre-installed addons, you get a good selection without having to go install other Kodi addons that some other builds seem to miss. 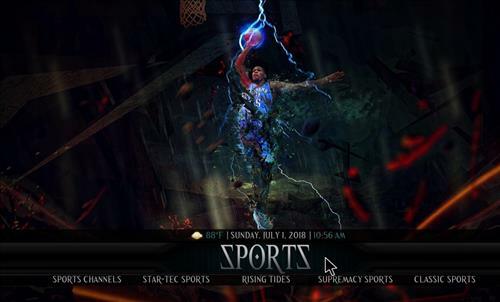 Some of these addons include Neptune Rising, Supremacy, Placenta, PinSentry, Grit, Just Sports and more. I won’t get into the whole list of them, but you get the point. 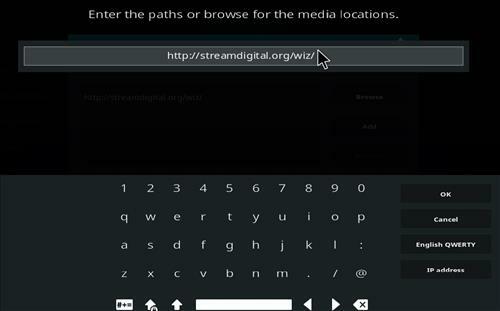 This Kodi build will work on just about anything, has its a light and fast running build, you can install on whatever device you see fit. 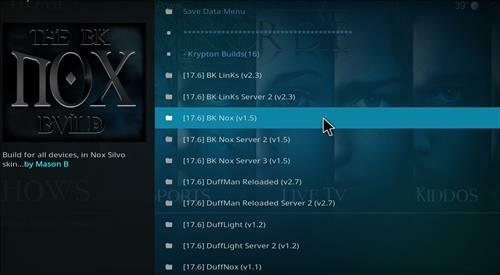 All in all, the BK Nox Kodi Build is a great build that I would highly recommend. Having a great selection of Addons with superior performance you wont be sad once installing this. 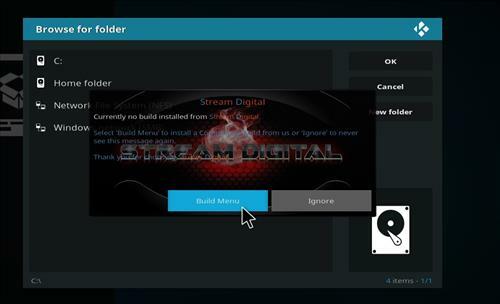 I also wanted to add that streaming with this build is really good. I don’t seem to have very many buffering issues, which is really great with my slow internet speeds. Anyways, lets get down to it and get on with the install. Step 2. Then click on File Manager Icon. Step 4. Next Click on None. Step 5. Enter this address exactly has shown. Please double check it, if there is a mistake this step will not work. Step 6. 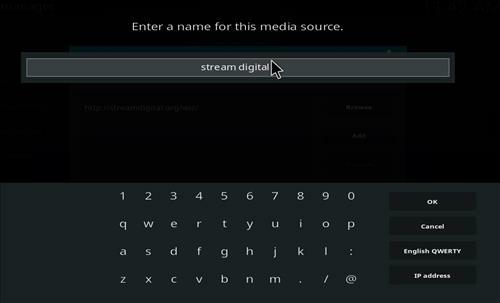 Name it Stream Digital or whatever you like. Its for your own reference in a later step. Step 8. 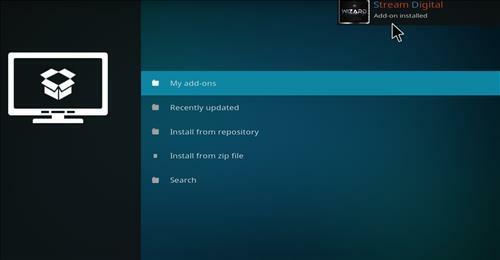 Then Go back the Home screen and click on Addons. Step 9. 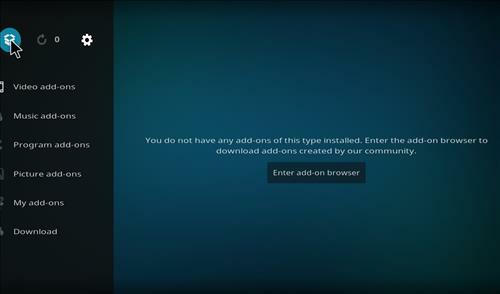 Click on the Package Installer in the top left corner. It looks like an open box. Step 10. 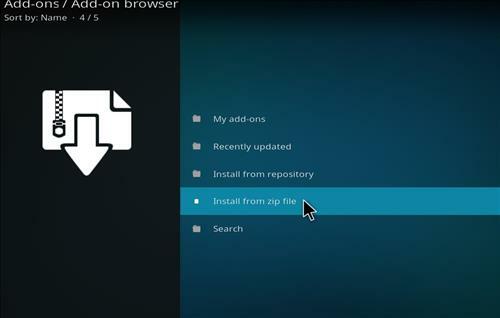 Then Click Install from Zip File Option. Step 11. A dialogue box will open. 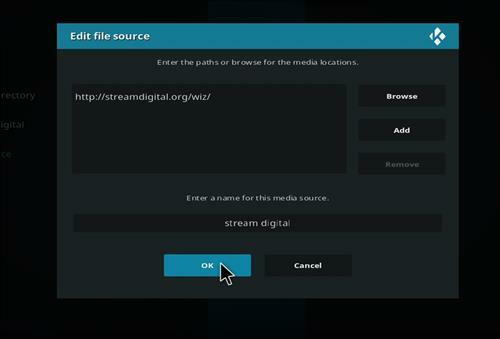 Click on Stream Digital. Step 12. 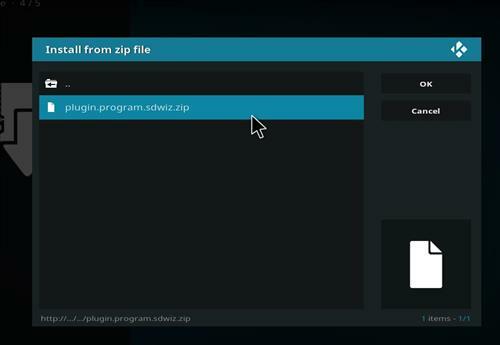 Click on the plugin.program.sdwiz.zip file. Step 14. Click Dismiss on the Popup Notification message. Step 16. 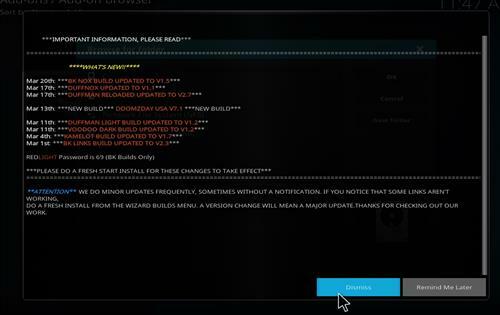 Click on the Build menu next. Step 17. 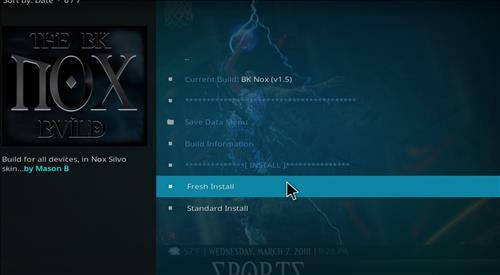 Click on BK Nox and then select the server. Step 18. Click on Fresh Install or Standard Install. I usually click on Fresh install because I get last problems and errors later down the line when updating addons. Step 19. Click on Continue. Step 20. 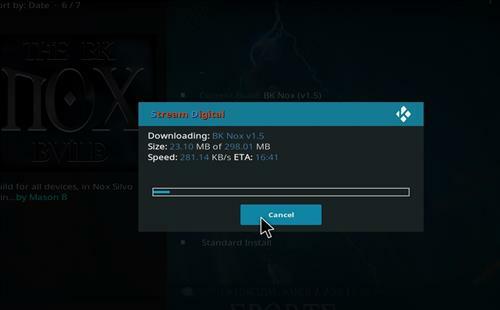 Please wait for it to download and Install. Step 21. 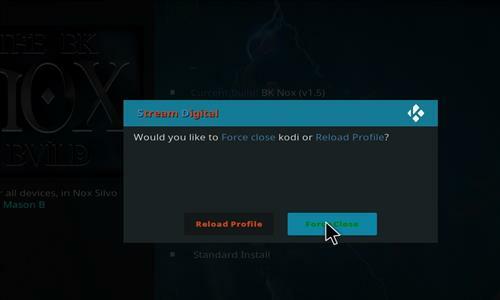 Next you can click on Force Close. Step 22. 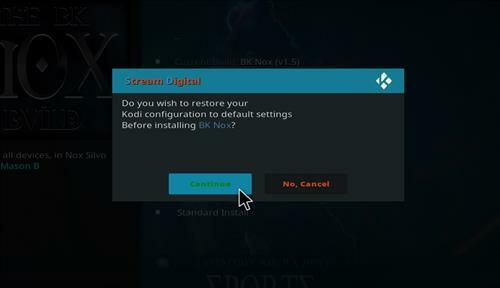 After it Restarts it should come for you automatically. Please give it time when it first installs to load all the addons and updates. 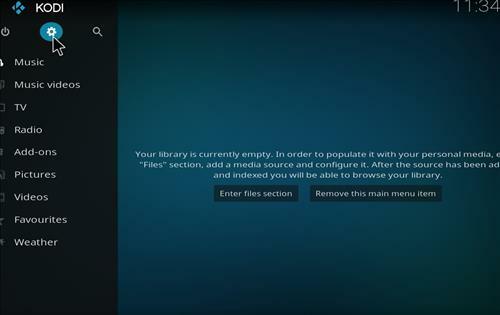 Well have fun exploring this awesome kodi build and let us know how you did. If you do have problems with this build it usually happens in step 6 with the repository url. Sometimes the repo URL goes down, if you notice this to of happen. Let us know in the comment section below and we’ll try to find an updated repo for it. Enjoy the build and Happy Streaming!